S.O.S. is getting excited and energized for the first ever S.O.S. Week of Peace from October 16th to October 23rd. Join us in the movement to end violence and save lives. See the full schedule of events above and here. The main event of the week will be a Peace March on October 20th, 2011. 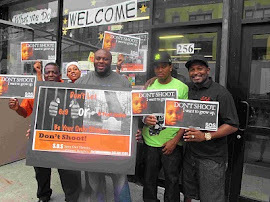 Join hundreds of members from the community in demanding an end to the violence, supporting all the victims of violence and their families, and celebrating the positive changes the community has made to reduce gun-violence. 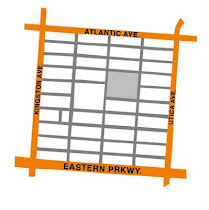 We will be congregating on the north side of Eastern Parkway at Utica Avenue at 6:00pm. If you would like to walk as a group, please register here or print and fax this form to 718-774-5349. 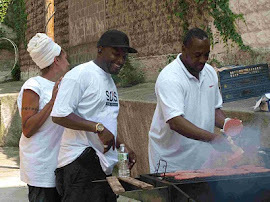 Religious leaders throughout Crown Heights will commence and close the S.O.S. Week of Peace with “Non-Violence Sundays” on October 16th and October 23rd by dedicating their religious services to the message of non-violence. Check with your religious leaders about their programming, or talk to them about being involved. There will also be a screening of The Interrupters, the award-winning documentary about the Chicago Ceasefire anti-violence approach on which the S.O.S program is based, on Friday, October 21st at 6:30 PM at PS 289 (900 St. Marks Ave at Kingston). Since February 2011, the work that S.O.S. has done with the Crown Heights community has shown that when we all work together and focus on gun violence reduction, we can save lives. Let’s continue to work together to end the senseless shootings and killings. We look forward to seeing you at the Peace March and the S.O.S. Week of Peace. If you would like to be involved, please contact Eliana Horn at ehorn@crownheights.org.